Russian Indicted by US Seen as Doing Favors for Putin - Integration Through Media ....! (VOA): Thirty years ago, he was in prison. A decade ago, he was serving fancy meals to President Vladimir Putin. A week ago, he was among 13 Russians indicted in Washington on charges of meddling in the 2016 U.S. presidential election. 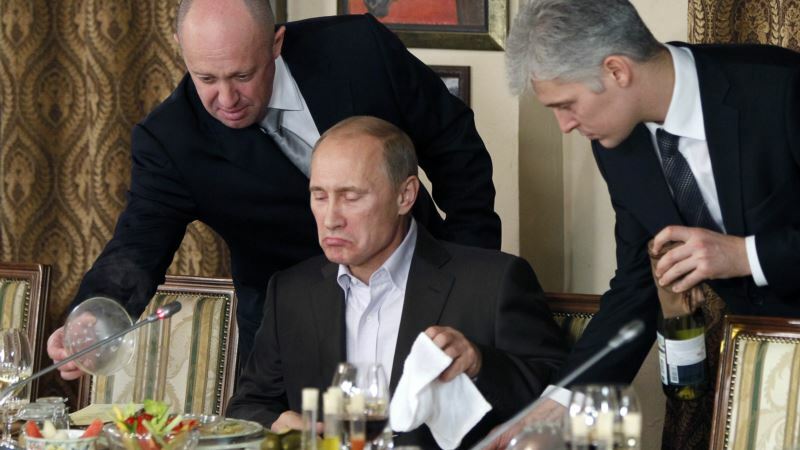 Prigozhin, a restaurateur who ran a catering company and was dubbed “Putin's chef,” had other projects on his plate. He has been linked to a shadowy military firm that has sent private Russian contractors to fight in Ukraine and Syria on the side of Moscow's allies. Former Russian soldiers were recruited to join the separatists by a shadowy company called the Wagner group, whose founder, Lt. Col. Dmitry Utkin, came under U.S. Treasury Department sanctions for the firm's actions in Ukraine. Prigozhin was sanctioned in 2016 by the U.S., which cited his companies' Defense Ministry contracts related to the conflict in Ukraine. Russian media has reported that thousands of Russians under contract to the Wagner group also have fought in Syria since 2015, helping turn the tide of battle there in favor of President Bashar Assad, Moscow's longtime ally. Putin wanted Russia's involvement in Syria to be different from its intervention in Afghanistan and Chechnya, which claimed many lives and were widely unpopular. The secret deployment of private contractors in Syria has helped keep the official Russian death toll low as Putin seeks re-election. Russia's richest men spent billions of dollars to help construct hotels and sports venues for one of Putin's pet projects, the 2014 Sochi Winter Olympics, which went over budget and was rife with corruption. They were later rewarded with bailouts from state-owned banks.